Andrew Schafer, Ben Eastlund and Logan Kumnick are three autodidacts with a passion for videography. As 8th graders at LaCreole, they took on opportunities to highlight activities at school throughout the year and LaCreole was able to provide tools and an audience for them to practice using filming and editing. 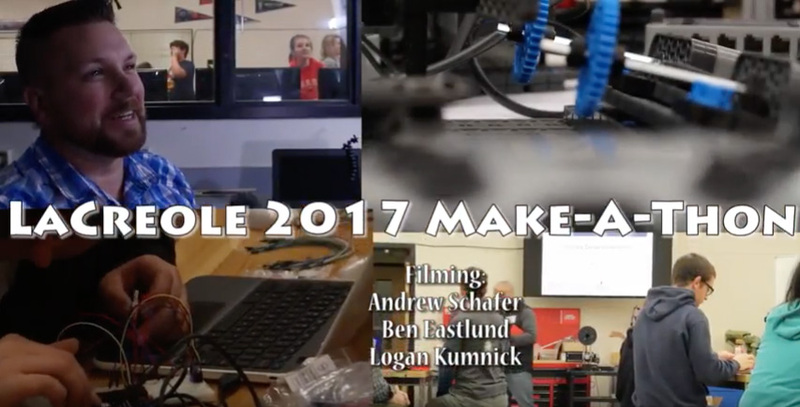 Now freshmen at Dallas High School, they put together this fantastic video of Dallas’ first Make-a-thon.